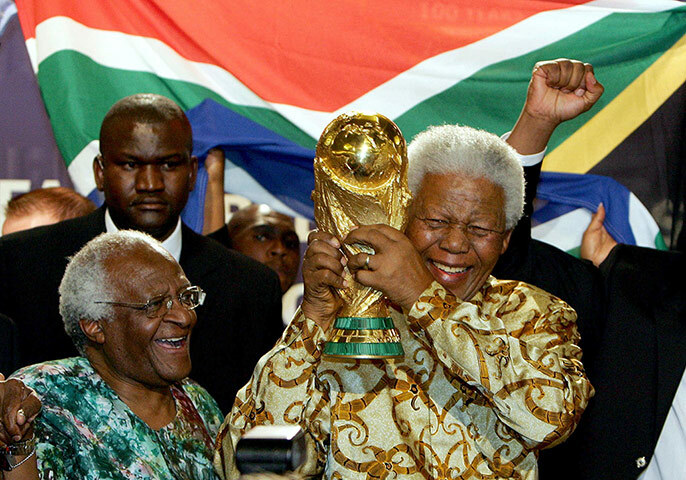 Shamik Das looks at Nelson Mandela's sporting legacy, and the role rugby, cricket and football played in the years following Apartheid. “Sport has the power to change the world. It has the power to inspire. It has the power to unite people in a way that little else does. It speaks to youth in a language they understand. Sport can create hope where once there was only despair. 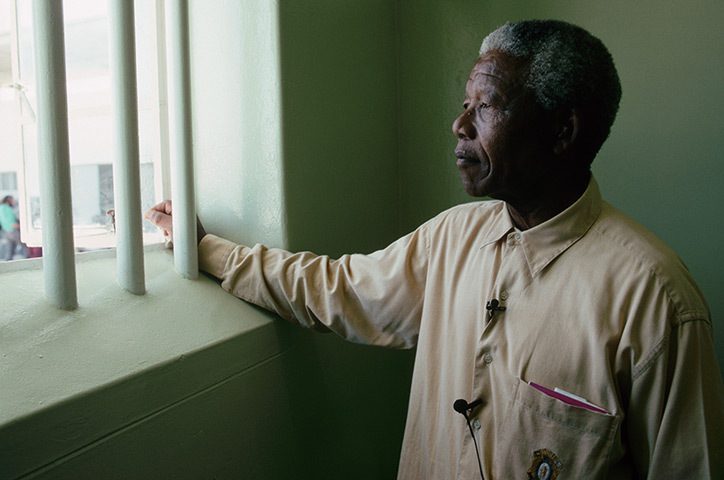 Nelson Mandela’s role in freeing South Africa from the noose of Apartheid needs no repetition. The fight, the freedom, the victory has been well documented over the past few days and will continue to be, as memories and tributes pour from around the world for one of the greatest men ever to have lived, arguably the most inspirational, incredible, important in our lifetime. 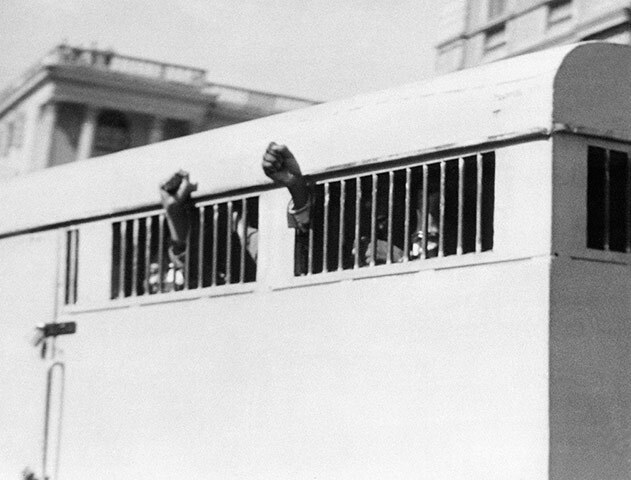 We all have our favourite iconic image of Madiba: the defiant defendant regularly persecuted by the regime; the fists raised through barred windows after being convicted of conspiracy; Nelson and Winnie, fists clenched on the ANC leader’s release from Victor Verster prison; the newly-elected President swearing the inauguration oath; Mandela and FW de Klerk arms aloft at the inauguration; returning to Robben Island staring through the bars of his old cell; Madiba with Archbishop Desmond Tutu holding aloft the World Cup after South Africa were awarded its hosting. 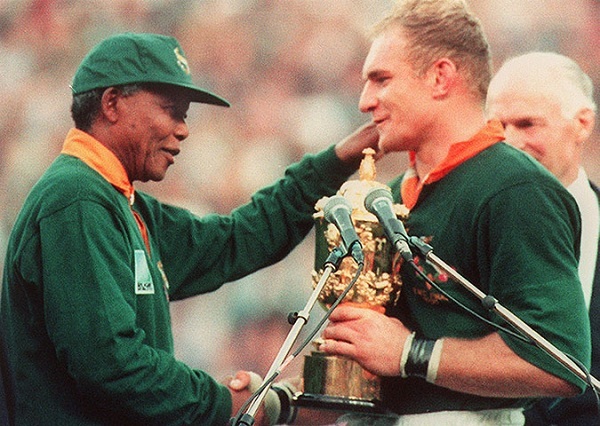 And the photo above, Mr Mandela in a Springbok jersey, the ultimate symbol of Afrikaner identity and minority supremacy, handing the rugby World Cup to Francois Pienaar… unbelievable, unthinkable, unimaginable. That moment of reconciliation, joy and hope was for many South Africans the real birth of the Rainbow Nation, a fitting finish to a memorable tournament many thought they’d never host. 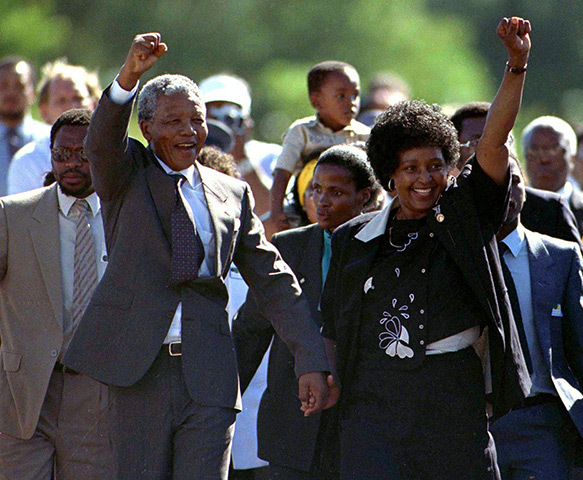 Such was the power of Mandela: love not hate; friendship not fear; warmth not bitterness. Sport, in a way nothing else does, enables people to come together and share in the moment – we experienced it ourselves last summer during the Olympics, and do so whenever a major tournament or series takes place. South Africa’s return to international sport is the ultimate example, uniting not just the nation but people the world over. On South Africa’s first post-Apartheid cricket tour, to India, locals lined the route all the way from the airport to the team hotel, the streets of Calcutta abuzz. For South Africa to be competing at all was impressive enough, for them to make it to the 1992 World Cup even more so, to come so close to making the final beyond belief, denied by the unjust pre-Duckworth/Lewis rain delay rules. The reason they were even there? Mandela, naturally. In August of 1991 I brought Clive Lloyd to South Africa for the first time to inspire the black kids, to tell them about his story and what he had achieved as a black cricketer. I wanted Lloyd to assist us with our development programme. Lloyd told me he wanted to meet Nelson Mandela. I phoned the late Steve Tshwete (a senior member of African National Congress and Minister of Sport in Mandela’s government) and we saw Mandela the next day. That was the first time I had met him. At that point we had been re-admitted into international cricket, but we were not going to the 1992 World Cup. There were a lot of journalists present during our meeting and one of them asked Mandela his views about South Africa playing in the World Cup. Mandela said: “Of course, we must play.” That was it. The message went around the world of cricket and we went to Australia. Till then there was no thought within South African cricket as well as at the ICC about South Africa playing in the World Cup, but Mandela’s words changed that immediately. Such was the power of Mandela. You have to pinch yourself as you cast your mind back over the years, not just at the sixties, seventies and eighties, but also the early nineties. 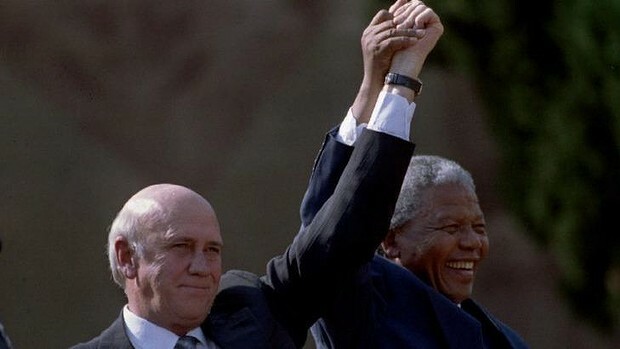 It was far from certain the transition to full democracy would be peaceful, that harmony would ensue, just as much as one couldn’t quite have imagined the sporting reintegration would have gone so well – that South Africa, within 20 years of Mandela’s release, would have hosted the rugby, cricket and football World Cups, and even bid for the Olympics, reportedly one of the former President’s last wishes. That isn’t to say everything’s rosy at the cricket ground, rugby stadium or football pitch. As with wider society, be it crime, the economy, poverty, health, disparities remain in South Africa’s sporting sphere, full representational equality still years away for the Proteas and Springboks, though Bafana Bafana are leading the way, if not quite yet on the field of play. It is, however, overwhelmingly a picture of progress, hope and success, a unifying force in a land of difference, people of all races brought together, one of the legacies of which Mandela should be proudest. 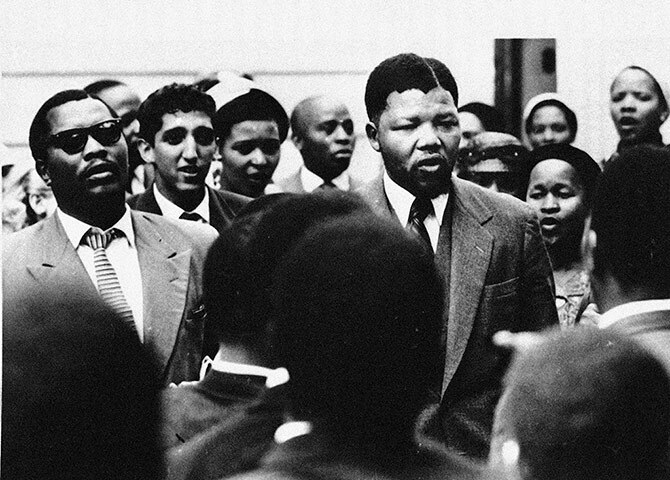 Mandela was a man of immense stature and presence. Early on when he was released from prison he had the vision that the medium to bring white and rest of South Africans together was through sport. So for the very first time he came to the Wanderers cricket ground and Ellis Park rugby stadium in the early 1990s. He did that precisely because those two sports and grounds were dominated by whites. He wanted those sports to be truly represented by all the different people in the country. His vision of using sport to bring whites and black together was firmly realised during the 1995 Rugby World Cup in South Africa when the togetherness, the unity, the camaraderie amongst all South Africans during and after our victory was unique and unprecedented for this country. Nelson Mandela gave us inspiration. He created a future for South African cricket – for all its people. RIP Madiba, you make us believe anything’s possible, you inspire us to dream the impossible. Sport is often the first way that oppressed groups make progress, for example, black athletes in the United States decades before it was possible for a black man to be President. Another recent example is that four of the Australian team that won the Rugby League World Cup were indigenous Australians. Makes a nice change to be able to discuss something that is genuinely inspiring – not least the way that Pienaar really embraced the ideals of his president and the future of his nation with his words about the team being enthused by the support of all South Africans, not just the ones in the stadium. Also, it was quite a match to watch – even on TV!